The Back Doctors are excited to announce the addition of full service foot care now available to all our clients. To this end, we welcome Graeme Bryant, CMP. A great Number of our Patients have been asking about foot orthotics, as they realize the importance of proper support from the ground up to maintain their spinal, foot , knee and ankle health. Additionally, Graeme is able to offer advanced foot care treatment right here, at The Back Doctors, which is convenient, affordable and highly effective- Just ask Jackie or Dianna for details. Graeme Bryant is a local Victorian who grew up in Cadboro bay. After owning and running a mechanic shop, a body shop, and a stucco company, Graeme realized that he wanted to take his mechanical background and the ingenuity he developed while running these businesses to a whole new level. To do this, he immersed himself in the biomechanical correction of feet, by working in various capacities over a 20 year span in orthotics manufacturing laboratory. Here he developed innovative new technologies for manufacturing orthotics and eventually built his own orthotics manufacturing laboratory which he owns and operates today. 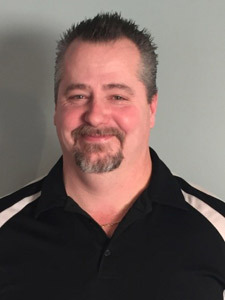 Through his extensive experience, Graeme came to the realization that any orthotics labs ability to produce an idea orthotic is limited by the quality of the mold taken of the patient’s foot in the clinic, preformed by as different person, or sometimes a computer. To bridge this gap Graeme returned to school to learn the clinical side of foot care, at the North American School of Podology. Graeme is able to offer truly unique services whereby the person assessing your feet is the same person who makes your orthotics by hand in his own laboratory, using the latest and most effective technologies. Additionally, your orthotics can usually be manufactured in about 1 week, and they are one of the most reasonably priced orthotics available in Victoria. These orthotics also qualify for reimbursement by most extended health plans- see staff for details. Outside of his work Graeme is involved in long distance cycling/fundraising, fitness, hiking, scuba diving (instructor) and raising his family.